Holiday hopes: Hollywood got a high octane boxoffice boost over the Easter-Passover weekend from Universal's $143.6million opening of "Furious 7,"proving once again how well moviegoing and holidays go together. Driven by "Furious 7"and the second weekend of DreamWorks Animation and 20th Century Fox's 3D animated family adventure "Home," which did $27.4 million, the Easter weekend boxoffice totaled about $218 million. That made it the biggest Easter weekend ever, according to the boxoffice data analysis firm Rentrak. It hammers home the way in which people routinely include moviegoing in their holiday weekend plans. Looking ahead, there also are high hopes for some other big upcoming holidays. Memorial Day weekend will see Disney launch the sci-fi mystery adventure "Tomorrowland," starring George Clooney, and 20th Century Fox open the 3D horror thriller remake"Poltergeist." July Fourth weekend will bring Paramount's 3D sci-fi action adventure "Terminator: Genisys," starring Arnold Schwarzenegger, and Warner Bros.' music comedy drama sequel "Magic Mike XXL,"starring Channing Tatum. Those titles, however, are just the tip of the holiday weekend movie iceberg. Holidays are so important to Hollywood that studios now schedule the openings of their biggest films years in advance in order to secure the ideal holiday weekend real estate. This holiday season's pre-Thanksgiving through New Year's dates are all locked up.Just as Hollywood extends the summer season by beginning it May 1 instead of Memorial Day weekend – this year thatkey pre-summer start date belongs to Marvel Studios and Disney's "Avengers: Age of Ultron"--it now begins the holiday season in early November rather than with Thanksgiving weekend. Here's a quick look at a few of the highest profile films coming our way this holiday season. 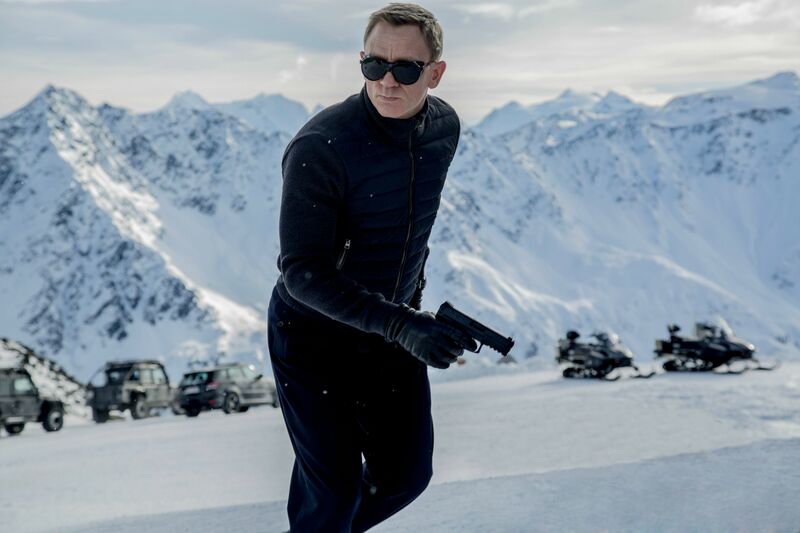 This year's festivities will start Nov. 6 with "Spectre," the new James Bond action adventure thrillerfrom Sony's Columbia Pictures, Eon Productions, MGM and United Artists. It's the 24th episode in Eon's legendary Bond franchise. And it's the 26th Bond film if you include the non-Eon 1963 spoof "Casino Royale" and 1983 episode"Never Say Never Again" in which Sean Connery returned as007. To begin building early awareness of "Spectre" some seven months before it hits multiplexes and IMAX screens in the U.S., Sony just launched ateaser trailer, which runs about a minute and a half. Directed by Sam Mendes ("Skyfall"), it stars Daniel Craig in his fourth turn as Bond, Christoph Waltz and Ralph Fiennes. In "Spectre," according to Sony,"A cryptic message from Bond's past sends him on a trail to uncover a sinister organization. 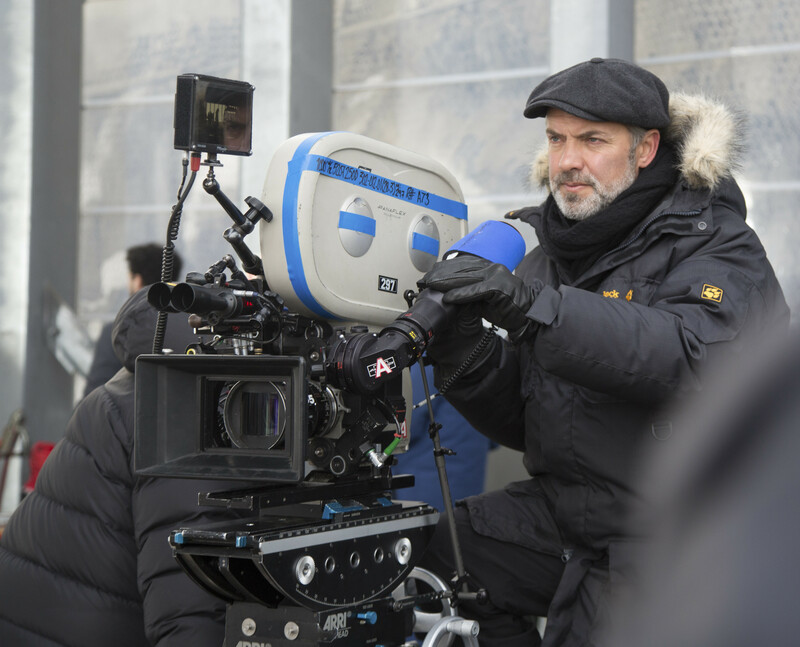 While M (Fiennes) battles political forces to keep the secret service alive, Bond peels back the layers of deceit to reveal the terrible truth behind SPECTRE." With "Spectre," Mendes will now have directed two consecutive Bond films, the previous one being the 2012 blockbuster "Skyfall." The last time that happened was when John Glen directed the back-to-back episodes "The Living Daylights"(1987) and"License to Kill"(1989). "Skyfall" opened Nov. 9, 2012 to $88.4 million and went on to gross $304.4 million in domestic theatres. 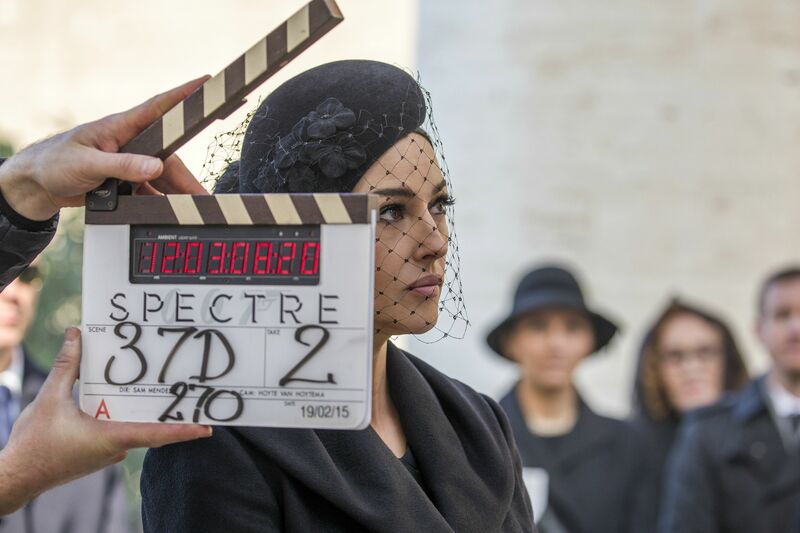 "Spectre's" early November launch will give it three weeks of playing time before Thanksgiving, but will also position it to benefit from the expanded moviegoing that typically accompanies the holiday. For adult moviegoers, holiday weekends are an opportunity to catch up with films they may not have had time to see earlier or to see ones they liked again and share them now with their children or grandchildren. Two weeks after "Spectre" arrives, another powerhouse franchise will be back in theatres -- Lionsgate and Color Force's "The Hunger Games: Mockingjay – Part 2. "Its Nov. 20 launch will put it in the marketplace just in time for Thanksgiving on Nov. 26. Directed by Francis Lawrence ("The Hunger Games: Catching Fire," "The Hunger Games: Mockingjay – Part 1"), it stars Jennifer Lawrence, Josh Hutcherson and Liam Hemsworth. Its storyline concludes the franchise with a revolution against the Capital led by Katniss (Lawrence) and District 13. "Mockingjay – Part 1" opened Nov. 21, 2014 to $121.9 million and ended up grossing $337.1 million domestically. Hollywood traditionally starts Thanksgiving weekend on the Wednesday before Turkey Day. That's Nov. 25 this year and five wide releases will be competing for a slice of holiday boxoffice pie. With family moviegoing so much a part of Thanksgiving weekend, it's perfect timing for a 3D animated family comedy like Pixar and Disney's "The Good Dinosaur." Directed by first time feature director Peter Sohn, whose animation credits include work on "Finding Nemo," "The Incredibles" and "Ratatouille,"it stars such voices as Judy Greer, Neil Patrick Harris and John Lithgow. "Dinosaur" poses the question, "What if the asteroid that forever changed life on Earth missed the planet completely and giant dinosaurs never became extinct?" Its story revolves around Arlo (voiced by Lucas Neff), a big-hearted Apatosaurus who sets out on a remarkable journey with a human boy as his unlikely companion. Their poignant journey of self-discovery is filled with adventure and hilarious characters that should resonate well with Thanksgiving family audiences. Another very different kind ofadventurewill also be in the Thanksgiving mix -- 20th Century Fox and Scott Free Productions' 3D sci-fi action thriller"The Martian." Directed by Ridley Scott ("Blade Runner," "Alien"), it stars Jessica Chastain, Kate Mara and Matt Damon and is based on the best-selling novel by Andy Weir. In "Martian," when a manned mission to Mars encounters a devastating storm, Astronaut Mark Watney (Damon) is presumed dead and is left behind by his crew. Watney, however, has managed to survive and is now stranded on the hostile planet. "With only meager supplies, he must draw upon his ingenuity, wit and spirit to subsist and find a way to signal to Earth that he is alive," according to Fox. "Millions of miles away, NASA and a team of international scientists work tirelessly to bring 'the Martian' home, while his crewmates concurrently plot a daring, if not impossible, rescue mission." Scott's last sci-fi hit, "Prometheus," opened June 8, 2012 to $51.1 million and did $126.5 million domestically. What may well be the year's most anticipated film will invade multiplexes Dec. 18, the weekend before Christmas – "Star Wars: The Force Awakens" from Lucasfilm, Disney and Bad Robot. The 3D sci-fi action adventure is directed by J.J. Abrams ("Star Trek Into Darkness") and stars Harrison Ford, Mark Hamill and Carrie Fisher. "Awakens," which continues George Lucas's legendary fantasy franchise, is set 30 years after the 1983 episode "Star Wars: Episode VI – Return of the Jedi." Since the first "Star Wars" blasted off May 25, 1977, the franchise has grossed $2.2 billion domestically, including reissues. For Christmas, Santa is deliveringfive more wide openings, including the Wed., Dec. 23 launch of 20th Century Fox and Regency Enterprises' family appeal animated comedy adventure "Alvin and the Chipmunks: Road Chip." Directed by Walt Becker ("Old Dogs"), its voice talents include Bella Thorne, Matthew Gray Gubler and Jason Lee. The "Chipmunks" franchisehas grossed $570 million domestically since it began in 2007. Bottom line:Hollywood should be helping to make holiday weekends happier than ever as the year flies by.